I teach elementary school and last year during November I went through the mid-year slump. I was tired for several reasons: tired of faculty, tired of children, tired of not having any time off, and tired because I had just gotten married (yay!). I began searching for something to give me hope and encouragement to make it through the day. My best friend was also going through a similar slump and I had started noticing these meaningful quotes on pinterest that seemed like just what I needed to hear. 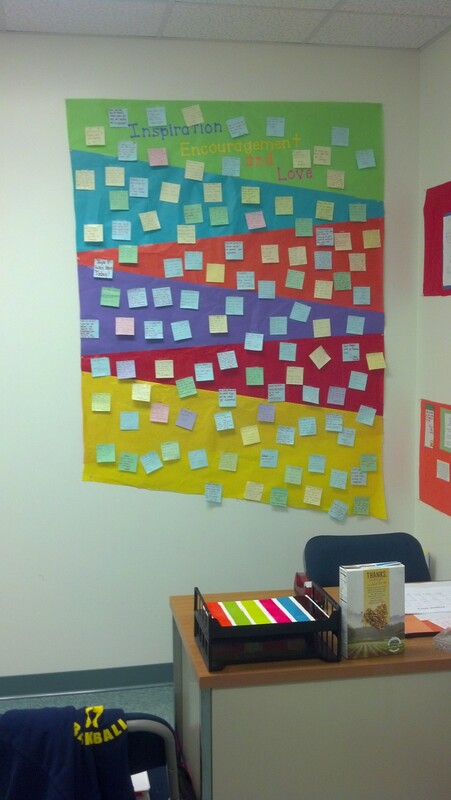 I had heard of people writing quotes on post-its and had sticking them to the mirror for themselves and others to read. I decided to go a step further and hand deliver the messages to see if that would help. When I delivered that first quote to my bestie, it was awesome! Not only was she encouraged but I was too, simply because I had made her day. We were both so moved by this experience that we made it into an everyday thing. 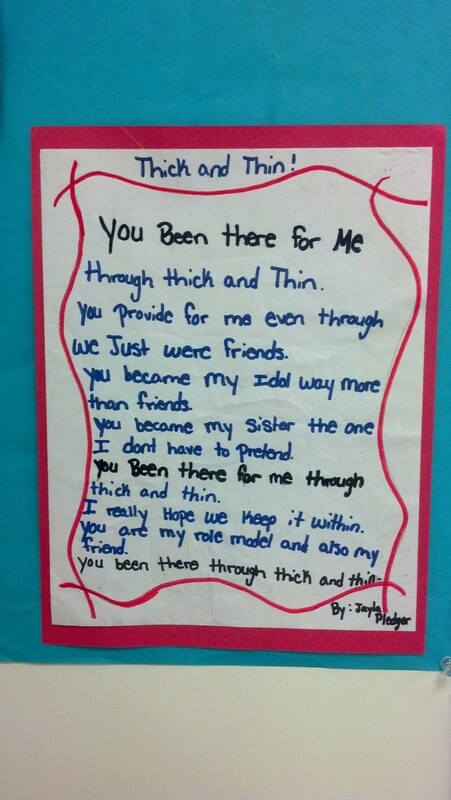 This year she is not working at the same school, and I felt alone and broken when it was time to return. When I unpacked all my stuff in my office, the first thing I looked for were those quotes. As I read them again, suddenly all those quotes that we had written to each other gave me encouragement to “continue the good race” ( 2 Timothy 4:7) and once again I had been encouraged. 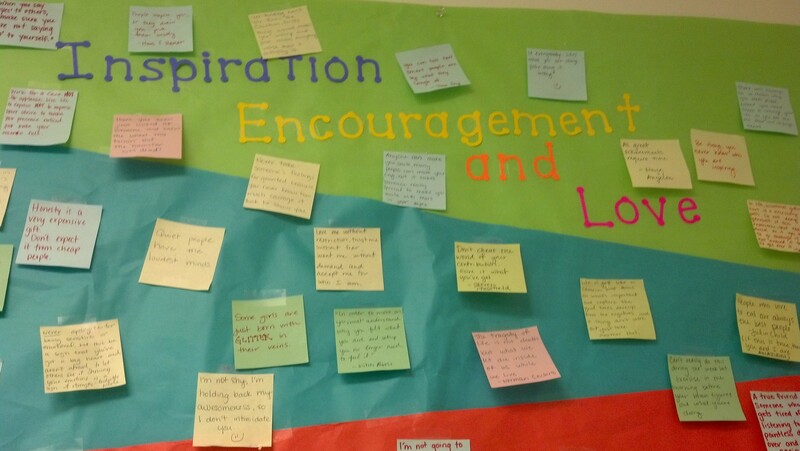 I devoted the wall behind my desk to these quotes and made an “Inspiration, Encouragement, and Love” wall. 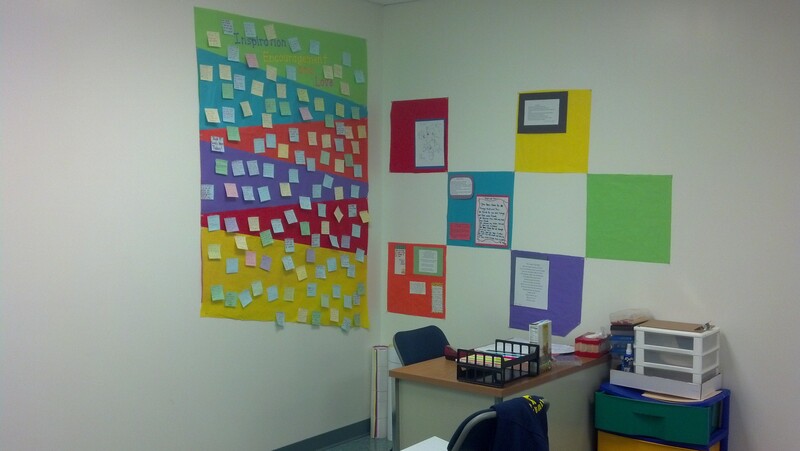 As people came back into my office to visit they were curious about the post-its and came closer to read them. So many others were encouraged just by reading that wall. 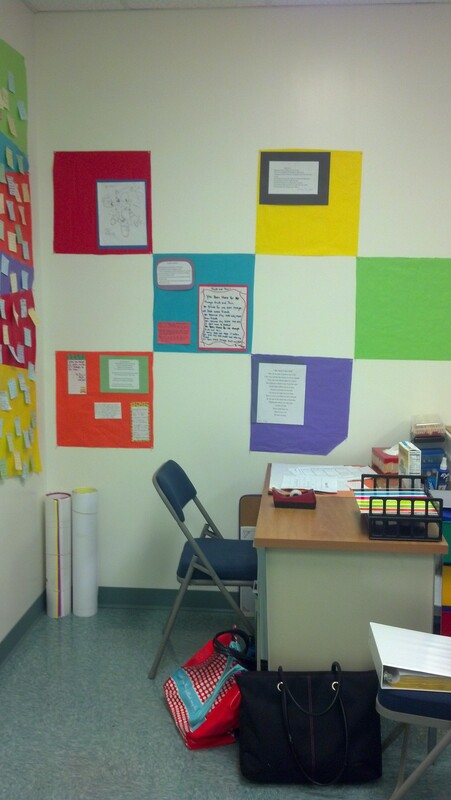 On the other side of my wall I created a display area for student work. These aren’t just any students. These are mostly from my adopted kids. Their poetry and short stories that give me a sense of love when I look at them. These are things that someone thought enough about me to give to me or make for me. These are a couple of my favorite. 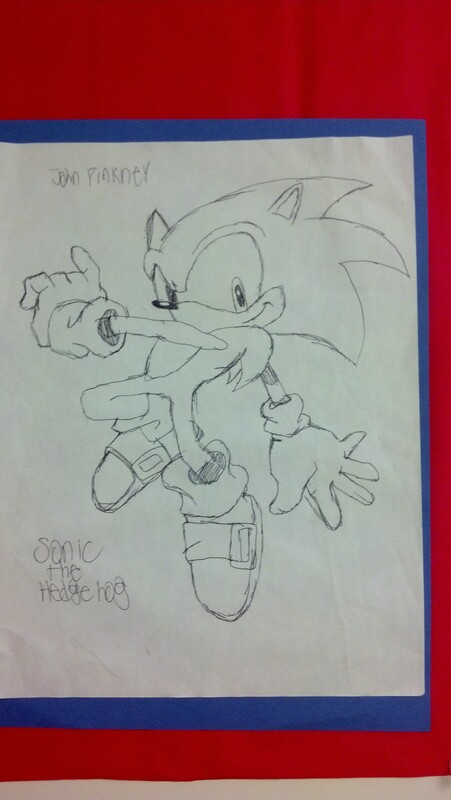 A poem that my adopted daughter (that graduated to high school) wrote for me and a drawing of Sonic the Hedgehog by one of my kid’s friends. I love Sonic the Hedgehog. Another one that I failed to take a picture of is a poem by my adopted son titled “The Gamer Can’t Win”.